The media seems to have taken a sudden interest in downplaying the significance of Justice Department (DOJ) official Bruce Ohr. Despite these characterizations, Ohr wasn’t some anonymous, mid-level official. He held two important positions at the DOJ: associate deputy attorney general, and director of the Organized Crime Drug Enforcement Task Forces. Ohr, one of the highest-ranking officials in the entire DOJ, was also communicating on an ongoing basis with Christopher Steele, author of the infamous dossier on then-candidate Donald Trump. This description fails to convey what the Steele dossier really was—an ongoing series of 16 memos compiled by Steele beginning on June 20, 2016, and continuing through Dec. 13, 2016. While the FBI may have received most of the earlier memos directly from Steele, they most likely didn’t have possession of the final memos compiled by Steele—including one dated Dec. 13, 2016. Ohr was apparently providing the FBI with information from these newly compiled Steele memos, and may have even provided the new memos themselves. This point is deserving of emphasis. The FBI did have access to Steele’s earlier memos. But following a series of disclosures by Steele to the media, the FBI terminated its relationship with Steele in late October or early November 2016. It was at this point that Ohr became the conduit between Steele and the FBI. Steele’s work didn’t end with the final Dec. 13, 2016, memo. In late 2016 or early 2017, Steele and Fusion GPS began to work for a new employer, the Penn Quarter Group, run by Daniel Jones, a former intelligence committee staffer for Sen. Dianne Feinstein (D-Calif.). As noted above, Ohr remained in contact with Steele—and the FBI—until at least May 2017. The Hill’s John Solomon has documented more than 60 contacts between Ohr and Steele with most occurring during the ramp-up of the Trump–Russia Investigation in 2016 and early 2017. More contacts were discovered through emails obtained by the Washington Examiner’s Byron York. These emails are a story unto themselves as they establish a link among Steele, Ohr, and Oleg Deripaska, a Russian billionaire who Steele appears to have been actively lobbying for in 2016. The ABC News article notes that following the election of President Trump, Steele met with FBI officials “at least twice.” While technically correct, it is also misleading. Ohr met with the FBI 12 times between late November 2016 and May 2017. The role of Bruce Ohr’s wife, Nellie, is disclosed in the ABC News article, but only in passing references. The Ohrs have known Glenn Simpson, the founder of Fusion GPS, since at least 2010 when they worked together on a report for the DOJ. The Ohrs have known Steele, for an even longer period of time—back to at least 2006. Some sources indicate contact between the Ohrs and Steele goes back to early 2000. According to testimony from former FBI agent Peter Strzok, he and Ohr met at least five times during 2016 and 2017. Strzok was working directly with then-Deputy FBI Director Andrew McCabe. The ABC News article cited more unnamed sources as saying that some of Strzok’s superiors had never even heard of Bruce Ohr until media reports surrounding him began to surface. 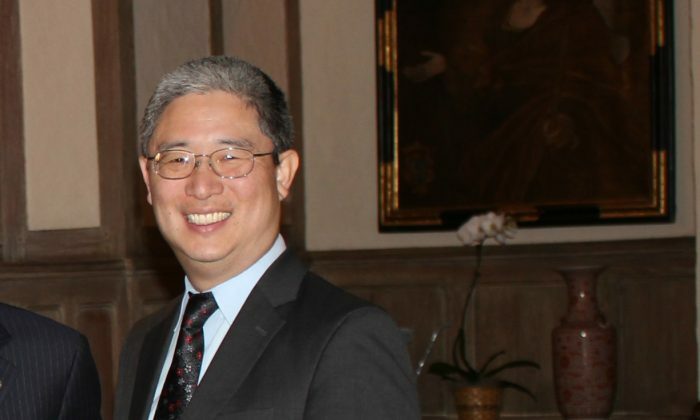 Bruce Ohr was one of the highest-ranking officials within the Department of Justice. He interacted directly with Strzok, who had been promoted to deputy assistant director of the FBI’s Counterintelligence Division. Strzok reported to Bill Priestap, head of counterintelligence, and Deputy FBI Director Andrew McCabe. The chances of Ohr operating completely on his own, without any knowledge from his superiors, or senior FBI officials, seems a dubious prospect, indeed. As we have detailed in a previous article, Ohr’s boss, Deputy AG Sally Yates, signed the original FISA warrant on Trump campaign volunteer Carter Page in October 2016, along with the first FISA renewal in January 2017. The FD-302s that detail the FBI interviews of Ohr may shed more light on the role that senior Obama officials played in the creation of the FBI’s counterintelligence investigation into the Trump campaign—along with the ongoing promotion of the Trump–Russia narrative, most of which was based on Steele’s information. Information that came in part directly from Ohr. He was ultimately demoted—twice—following a House intelligence committee investigation. The first demotion came on Dec. 6, 2017, when he was stripped of his associate deputy AG title and ousted from the fourth floor of Main Justice. The second demotion occurred Jan. 8, 2018, when he was stripped of his title as head of the Organized Crime Drug Enforcement Task Forces. Ohr is scheduled to testify Aug. 28 in a closed session before the House Judiciary and Oversight committees. Despite obvious attempts to downplay his role, Ohr’s testimony is likely to be highly informative and may shed real light on his true role.